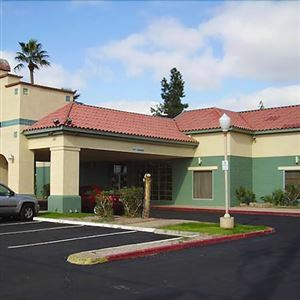 Property Location With a stay at Vacation Inn Phoenix in Phoenix (Encanto), you'll be close to Encanto Park and Arizona State Capitol. This hotel is within close proximity of Barrow Neurological Institute and Heard Museum. Rooms Make yourself at home in one of the 150 air-conditioned rooms featuring refrigerators and microwaves. Rooms have private balconies or patios. Wired and wireless Internet access is complimentary, and flat-screen televisions with cable programming provide entertainment. Private bathrooms with shower/tub combinations feature complimentary toiletries and hair dryers. Amenities Take advantage of recreation opportunities such as an outdoor pool, or other amenities including complimentary wireless Internet access and tour/ticket assistance. Business, Other Amenities Featured amenities include a 24-hour business center, a 24-hour front desk, and luggage storage. Free self parking is available onsite. 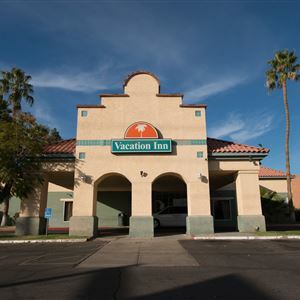 With a stay at Vacation Inn Phoenix in Phoenix (Encanto), you'll be close to Encanto Park and Arizona State Capitol. This hotel is within close proximity of Barrow Neurological Institute and Heard Museum. Make yourself at home in one of the 150 air-conditioned rooms featuring refrigerators and microwaves. Rooms have private balconies or patios. Wired and wireless Internet access is complimentary, and flat-screen televisions with cable programming provide entertainment. Private bathrooms with shower/tub combinations feature complimentary toiletries and hair dryers.